As a teenager, Simon Tardieux began working in the vines of Catherine Roussel and Didier Barrouillet at Clos Roche Blanche. 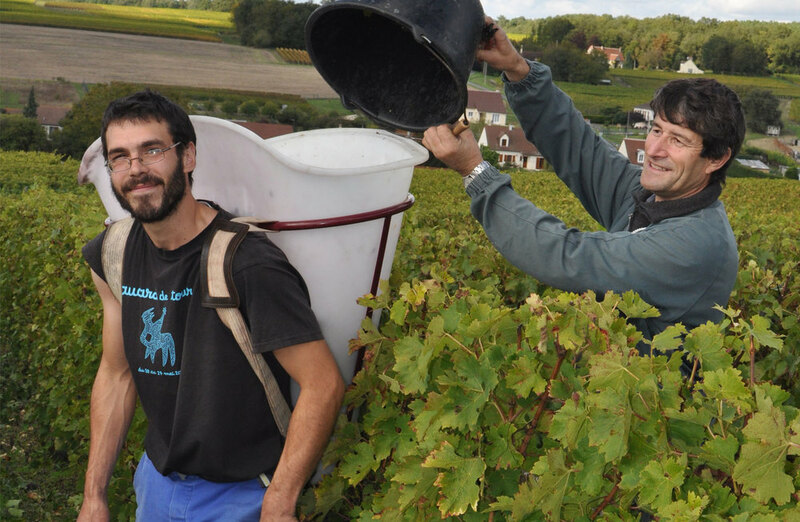 After university and a short stint as a social worker, he decided to return to Thésée and work outside in the vines. Only problem is that he didn’t have any vineyards. So he teamed up with his neighbor Alain Courtault, who was already in the process of converting to organic viticulture. Together, they make a range or simple, eminently drinkable wines. Total surface of 1 hectare.Average vine age: 35-40 years. 30% White clay-slate soils, 70% clay-limestone soils. Natural fermentation, 6 months aging in fiberglass tanks. Production: 3,500 bottles/year. For a spicy, savory, refreshing rosé. Made from two parcels on clay-limestone soils: one with young vines (3 years old), another with 50 year-old vines. Direct pressing, vinified in stainless vats until March, then bottled. Production: 2,500 bottles/year. The crisp white wine the Loire Valley is known for. Grown from vines ranging from 5-30 years old on 2 hectares of white clay-slate soil. Production 5,000 bottles/year. Old parcels where vines were planted in 1965 on limestone soil. 100% Hand harvested. Pressing and vinification in stainless steels tanks. SAUVIGNON "AVEC VUE SUR LE CHER"